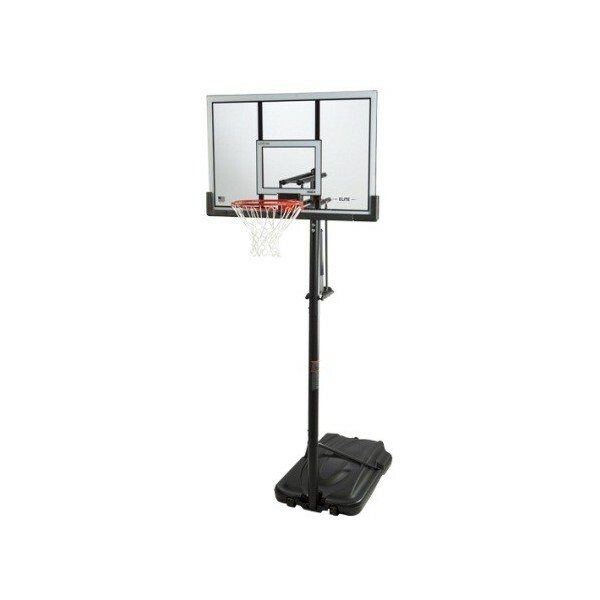 Bring the game home with your own portable adjustable height Lifetime basketball hoop. Just fill the portable base with sand or water to provide the necessary stability--no cement! 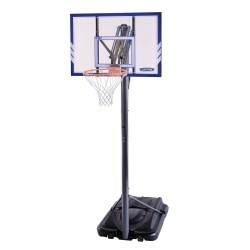 Use the pneumatic Power Lift feature to easily adjust the height of the backboard from 7.5 to 10 feet with just one hand. 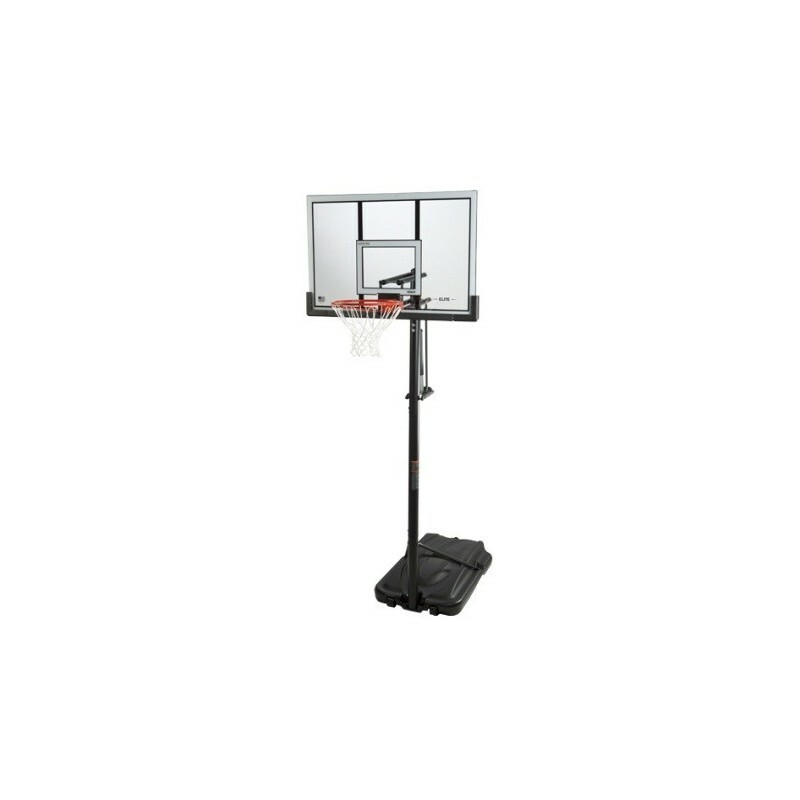 This Lifetime portable hoop is designed with a Slam-It Rim designed with double compression springs for spring-back action. Backed by a 5 yr. limited factory warranty in US. Frame: Lifetime's pro-styled steel frame gives you the look and feel of a professional hoop. The frame is powder-coated with a rust-resistant finish to withstand the harshest elements. Backboard Playing Surface: The shatter-proof Makrolon® polycarbonate playing surface gives you the look and play of pro-style glass. Graphics are screen-printed with UV-protected inks for superior color and protection against the elements. Rim: The heavy-duty Slam-It® Rim features an all-weather nylon net and double-compression springs which provide spring-back action. 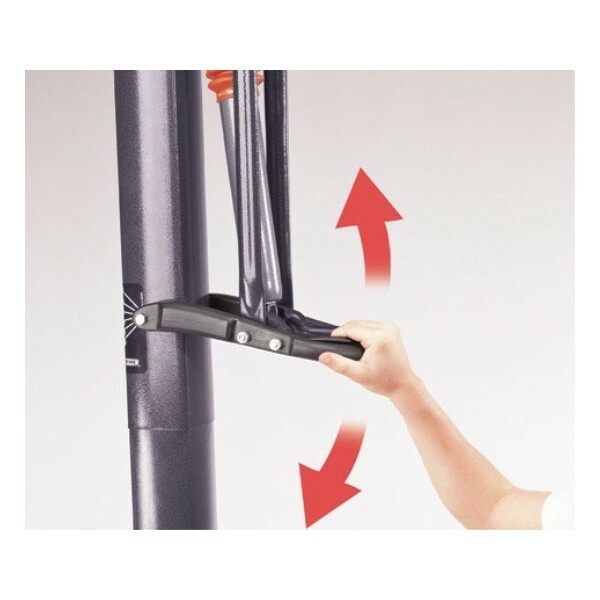 Adjustment Mechanism: The patented Power Lift® mechanism offers instant, effortless backboard height adjustment from 7.5 to 10 feet in infinite increments using a pneumatic springs. Adjusts in seconds with just one hand, allowing players of any age or skill to enjoy the game at their own level. Pole: The 3 pc. 3.5" round steel pole is protected with a powder-coated finish to resist rusting. Base: The system is supported by a heavy-duty portable polyethylene base. Just fill with sand or water and play today. No cement required.